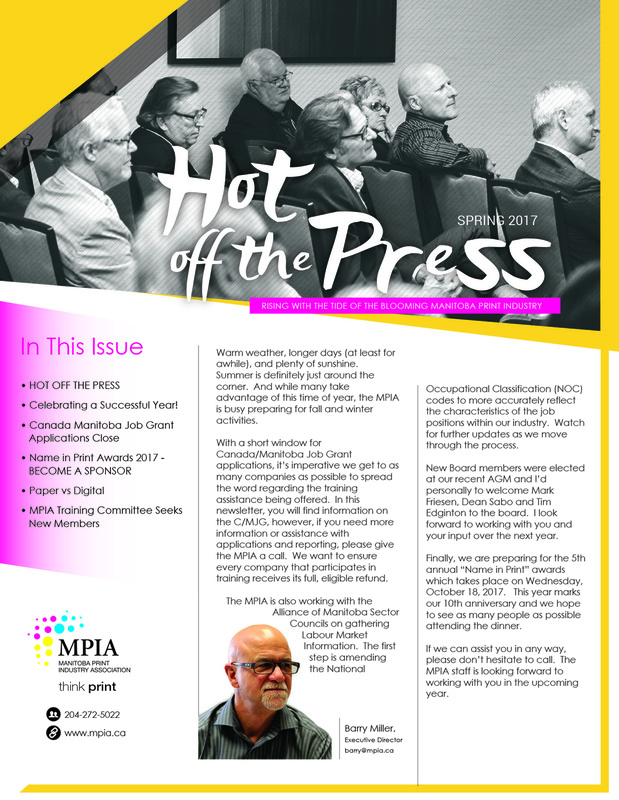 MPIA reaching Manitoba’s most influential people in the printing industry! What is the Job Grant? The Canada-Manitoba Job Grant is an employer-driven approach to help Manitobans gain the skills they need to fill available jobs and to support employers to gain access to skilled labour that meets their needs. 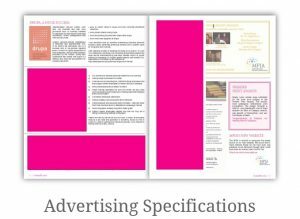 Employers decide who obtains training, what training is required and which approved third-party trainer will deliver training. The Manitoba government can help employers to determine their workforce and training needs and connect them to job seekers. Participating employers must have a job available for the trainee upon successful completion of the training. For an existing employee, the purpose of training should be to upgrade an individual’s skills so they may move up to a better job or meet employer needs in the workplace. Employers that receive funding under the Canada-Manitoba Job Grant must contribute a minimum one-third of the eligible training costs. With the maximum government contribution of $10,000, this means that up to $15,000 is available, per person, for eligible training costs. contribute a minimum 15 per cent of the eligible training costs. The Manitoba government will review the proposal and determine if the suggested trainer is approved to deliver the training. Training can be delivered at the workplace, online or in a classroom or training facility. The employer is responsible to select and contract directly with the approved trainer. The trainer will invoice the employer for the training costs; the employer, in turn, is reimbursed by the Manitoba government. Training costs incurred prior to approval of Canada-Manitoba Job Grant funding are not eligible for reimbursement. Employers may apply for any number of grants, but the maximum government contribution under the Canada-Manitoba Job Grant is $10,000 per unique individual. Employers must agree to provide confirmation of the direct training costs, information about how and who the training has helped and results of the training immediately after it is concluded and again 12 months later. (Examples include hours worked, hourly wages, credentials/certification earned, pre- and post-employment status, etc.). Trainees must agree to provide personal information (ex: gender, age, education, social insurance number, employment status, etc.). Training participants must be permanent residents of Manitoba. Training for temporary foreign workers is not eligible.